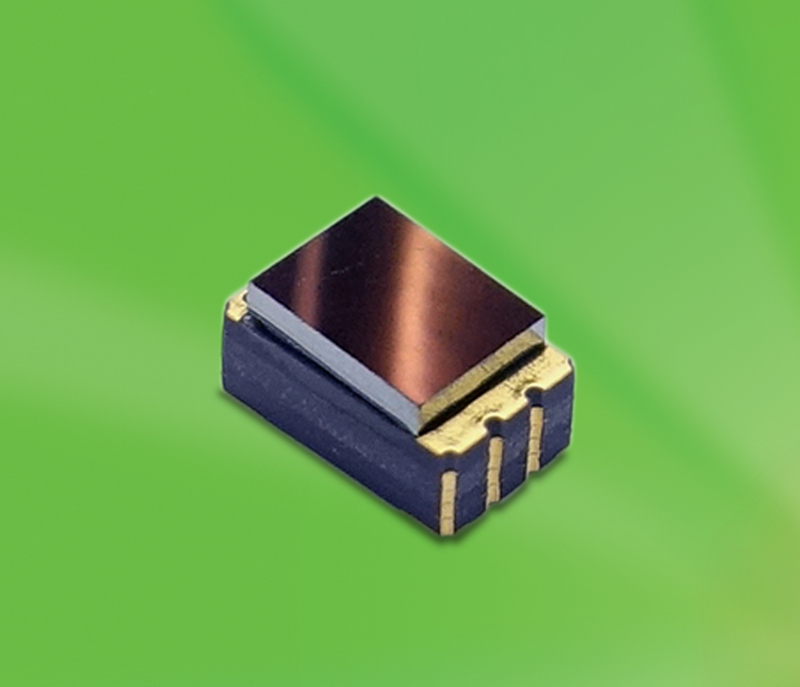 Advances in miniaturization and improvements in thermal management have resulted in a new generation of smaller, more versatile LEDs. For instance, Excelitas’ micro-sized APOLEDs are suited for medical devices and procedures where space is a critical consideration, such as capsule endoscopy. In addition, for diagnostic and therapeutic applications, we have seen a remarkable confluence of previously discrete disciplines such as engineering design, nano- and micro-fabrication techniques, and the biological sciences. One recent advance from a team at MIT reveals just how far medicine can develop using the combined efforts of microelectronic engineering, materials science, and biology.2 Using a genetically engineered E. coli bacteria as the detector (a sensing and emitting light source), scientists and engineers have created an ingestible micro-bioelectronic device (IMBED capsule) that could eventually be swallowed by the patient to detect blood in the GI tract and wirelessly alert medical staff via smartphone or laptop computer to the patient’s condition. In addition, this can be accomplished remotely and far more easily and quickly than conventional means involving numerous office or ER visits. Research indicates that other possible on-board analyses for these devices might include biomarkers that can detect intestinal infection and chronic inflammation. The use of luminescent microorganisms as biosensors and light sources is hardly new. For decades, Vibrio fischeri luminescence assays have been utilized to detect toxicity in the environment and within aquatic systems. However, what is novel here is that the IMBED can carry four or more specifically designed organisms in separate wells—each for testing a precise patient condition. And, because of rapid advances in microelectronics, the biosensors, the photodetector/luminometer, and the wireless transmitter can all fit within a 30 mm x 10 mm capsule. The device is still a bit large for all but the most determined patients, but with a shrinking footprint and a higher packing density, wider applicability and more likely patient adoption are clearly on the horizon. Other promising advances in micro-sensor technology include the use of carbon nanomembranes (CNMs) and other cross-linked polymer nanocoatings for improved control of non-specific adsorption and enhanced biomolecule immobilization. With CNMs, the technology allows the device designer to utilize a wide range of oligonucleotides (aptamers) in detection systems because the aptamers can retain their three-dimensional structure and thus be far less impacted by surface interaction. Since the aptamers retain their target binding properties, these new coating technologies allow for a much wider array of possible target strategies. And, with the broader range of other nanocoatings, the medical IoT designer can also better manage and mitigate such issues as biofouling, improve wettability, and take greater advantage of the specific binding of various biomolecules. Above: Excelitas’ new CaliPile TPiS 1S 1385 compact thermopile sensor enables continuous monitoring applications from tracking skin temperature of patients suffering from hypothermia to Bluetooth-enabled wearable infant thermometers that update parents via smart device. In September 2018, another pivotal advance in nanotech has built upon work previously done at the University of Texas, Austin. Using visible light as the stimulus, researchers at the Cockrell School of Engineering have developed a means of switching the mechanical motion of nanomotors among multiple modes by the application of visible light.3 Research into this capability, although early stage, could eventually lead to a new class of nano-electromechanical and nano-robotic devices for drug delivery, disease detection/therapeutics, and continuous healthcare monitoring in humans. Previous work by Donglei (Emma) Fan’s team resulted in a nanomotor 500 times smaller than a grain of salt—with applications ranging from the targeted treatment of cancer (e.g., mixing and pumping biochemicals in situ), to a more effective, directed distribution of insulin for diabetics. All of these advances will combine to support further development of medical IoT. Estimates suggest that by 2020, more than 28 billion connected, IoT devices will be in operation—with an increasing proportion in medical applications. One critical determinant of success, however, is the need for an integrated engineering approach as early in the design cycle as possible. As every nanotechnologist and micro-fabrication specialist know, materials behave much differently on a smaller scale (e.g., on a small scale, fatigue behavior exhibits differently on a sub-micron titanium wire than at a macro level). In addition, materials must be selected for biocompatibility and inertness (e.g., the semipermeable membrane used to contain the E. coliin the example cited above). And, because there is such a large number of IoT platforms available today, along with a vast array of connectivity options, it becomes even more essential to connect the right domain knowledge with the right experience early in the process. Each platform has its own specific set of features and benefits, but certainly none have a ‘one-size-fits-all’ versatility. The selection of the appropriate platform is dependent upon the desired interoperability, the types of patient data being collected, the environment in which data is being assembled, and how best this information will be acted upon. It is therefore crucial to integrate as many engineering disciplines, as early as possible, into the design cycle. Medical IoT is changing very rapidly, and most times, an integrated, holistic approach to successful medical IoT device design means coupling the right platform, an optimal light source, the most appropriate photonic detectors, and the smallest sensors with materials science selections and connectivity considerations. The alternative option of simply selecting discrete elements and cobbling them together to create an IoT device ensures a much longer design cycle—and the likelihood of many additional and unnecessary iterations—before the device can be deployed to the field. The medical IoT landscape is developing constantly and quickly to the point where new capabilities emerge practically every three months. Companies developing medical IoT products can accelerate speed-to-market to better compete in this dynamic marketplace by working with a complete, integrated solutions-technology supplier that has in-depth industry knowledge and a full range of products and capabilities in their product portfolio, enabling easier device integration, and shorter, more-effective development cycles. 1. "IoT Medical Devices Market by Product (Blood Pressure Monitor, Glucometer, Cardiac Monitor, Pulse Oximeter, Infusion Pump), Type (Wearable, Implantable Device), Connectivity Technology (Bluetooth, Wifi), End User (Hospital) - Global Forecast to 2023," Markets and Markets Report HIT 6543, August 2018. 2. "An ingestible bacterial-electronic system to monitor gastrointestinal health," Mark Mimee, Phillip Nadeau, Alison Hayward, Science, 25 May 2018: Vol. 360, Issue 6391, pp. 915-918, DOI: 10.1126/science.aas9315. 3. "Visible light–gated reconfigurable rotary actuation of electric nanomotors," Zexi Liang and Donglei Fan, Science Advances, 14 Sep 2018, Vol. 4, no. 9, eaau0981, DOI: 10.1126/sciadv.aau0981. Materials Science and Engineering Program, University of Texas at Austin, Austin, TX 78712, USA. Visit Excelitas Technologies at MD&M West 2019 Booth #3228 February 5-7. James Clements is product manager for Medical Cermax at Excelitas Technologies. Jim has more than 25 years of experience in the rapid commercialization of advanced technologies within the life sciences, nanotech, and healthcare sectors. He holds degrees from the University of California, Irvine, as well as Pepperdine University and has worked internationally with several high-tech start-ups.